To some, an electronic drum kit just seems like a gift for a kid; it won’t be loud like acoustic drums, they will learn a great skill and the kit itself is inexpensive at the entry level. To others, its the perfect modern gigging kit — giving you a ton of sounds in a lightweight, easy-to-maintain form. Whatever modern electronic drums mean to you, getting them this point took tons of innovation, financial sacrifice and lots of science. The electronic drum’s history is not the property of a sole company or artist, though the e-drumming world was and is more tight knit than might be believed. The electronic drum’s history has always been about challenging the norm and creative problem solving with circuitry and math, in a space dominated by metal and wood. An Acetone Rhythm Ace, like the one Felix Visser modified. Image used with permission by Wikimedia Commons. The year is 1967, well before the Roland-era of electronic drum machines and only a handful of designs and prototype electronic drum machines existed, though these dated back to the 1930s. Felix Visser, a drummer for Dutch band The VIPs modified an Acetone Rhythm Ace to be played as a live instrument. Without modification the Rhythm Ace, that was designed by Ikutaro Kakehashi, was limited to playing pre-programmed rhythms. Kakehashi would later go on to found Roland Corporation and revolutionize the electronic drumming world. The modifications included the addition of printed circuit boards with copper touch surfaces that were triggered by touch and sensed by a Siemens computer relay. Though this was a very primitive design, it gave the electronic rhythm a more “human-like” quality. 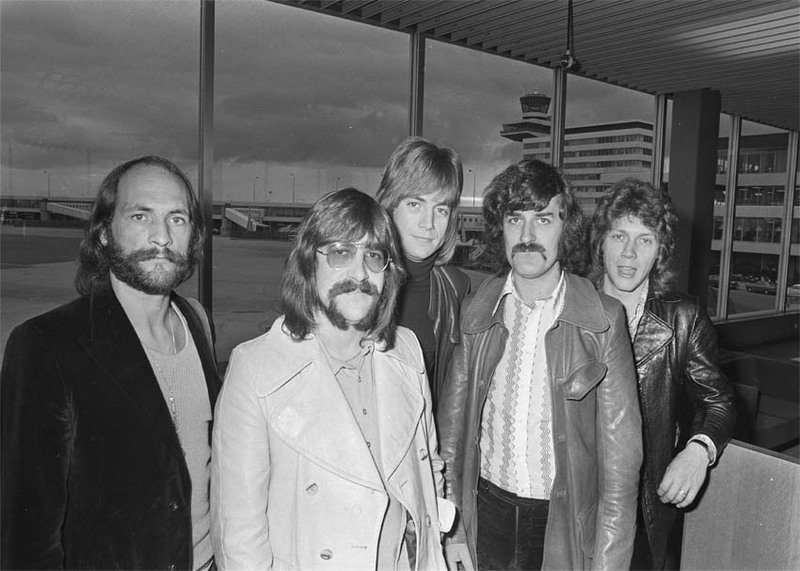 The Moody Blues arrive at Amsterdam Airport Schiphol, The Netherlands in 1970. Image used with permission by Wikimedia Commons. A few years later in 1971, The Moody Blues drummer Graeme Edge would enlist the help of a professor from Sussex University, Brian Graves to create a playable electronic drum kit. Their design included rubber trigger pads with a silver backing that used a magnet on a cord moving up and down to trigger an electronic signal that would then be processed through transistors. “This was pre-chip days, back then you did it all with transistors. So it had something like 500 transistors. The electronic drums inside looked something like spaghetti.” Edge said in recalling the pre-chip days of the 70s and how his electronic drum kit worked. Moog also got in on the tactile e-drum golden area in the 1970s and created their Moog 1130 percussion controller. 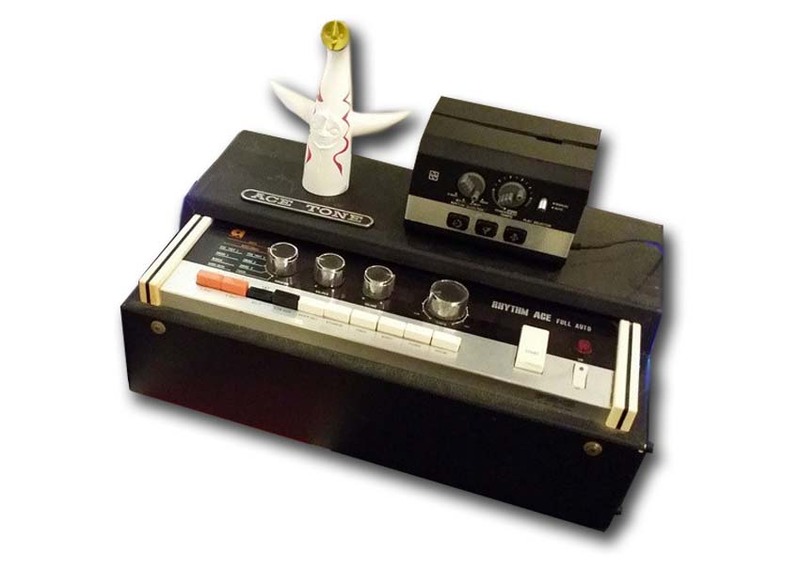 This was the first commercially available tactile electronic drum controller. It was the shape of an 8-inch tom drum and used a multi-pin connector to hook up to any Moog synthesizer of the time, such as the Mini Moog or Sonic Six, and process your drumstick hits into musical tones from a Moog synthesizer. A Simmons SDS5 electronic drum kit. Image used with permission by Wikimedia Commons. Though the Moog Percussion Controller (or Moog Drum) was the first commercially available, tactile (you could hit it) electronic percussion controller, the title of first commercially available electronic drum goes to the Pollard Syndrum. In 1976 Joe Pollard, a session drummer, and Mark Barton, a product designer for Tycobrahe Sound Company, invented the Syndrum. This electronic drum consisted of a sound generator and drum pads. 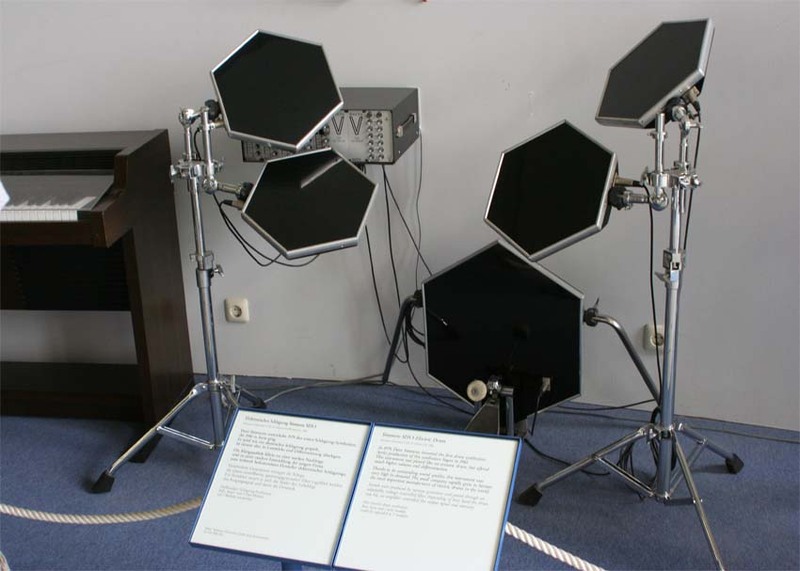 In 1978, Simmons created the legendary Simmons SDS-V, a fully electronic drum kit, complete with its signature hexagonal pads and 5 modules (bass, snare and 3 toms). This was the first electronic kit of its kind to be commercially available. From there, we enter the 80s. Some claim this decade to be the electronic drum’s prime years, and definitely the e-drumming second-wave or a silver-age of sorts. 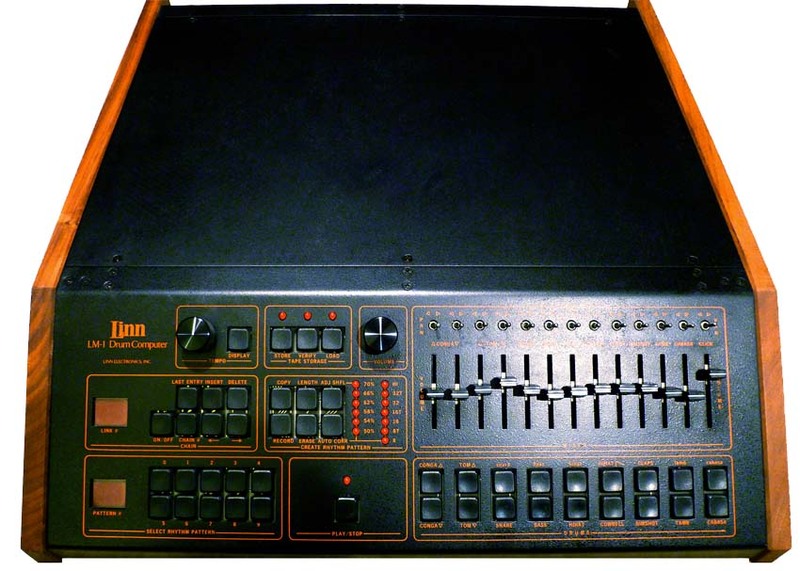 In 1980, Roger Linn’s LM-1 Drum Computer was unleashed on the world. This was the first drum machine in history to use acoustic drum samples to create the on-board drum sounds. The LM-1 was succeeded by the LinnDrum which sampled these acoustic drum samples from a 28 to 35kHz sample rate. A Roger Linn designed LM-1 drum computer. Image used with permission by Wikimedia Commons. Then came a drum machine that truly changed the music world forever, the Roland TR-808. The 808, like the LM-1 and LinnDrum, allowed users to program their own Rhythms with on-board sounds. But unlike the Linn acoustic drum samples, the 808 used analog synthesis to create it’s drum sounds. This has since come to be known as an advantage to the 808 as its signature sounds are still widely used and sampled in today’s music. In fact, the TR-808 has the honor of being used on more hit records than any other drum machine. As the end of the 80s approached and sampling grew more mainstream, the term “groovebox” was thrown around a lot for machines that combined samples into sequences. These were typically extremely complex machines that were not only expensive, but hard to operate and figure out. Enter Japanese company Akai and their design partner Roger Linn (yes, that Linn from above.) 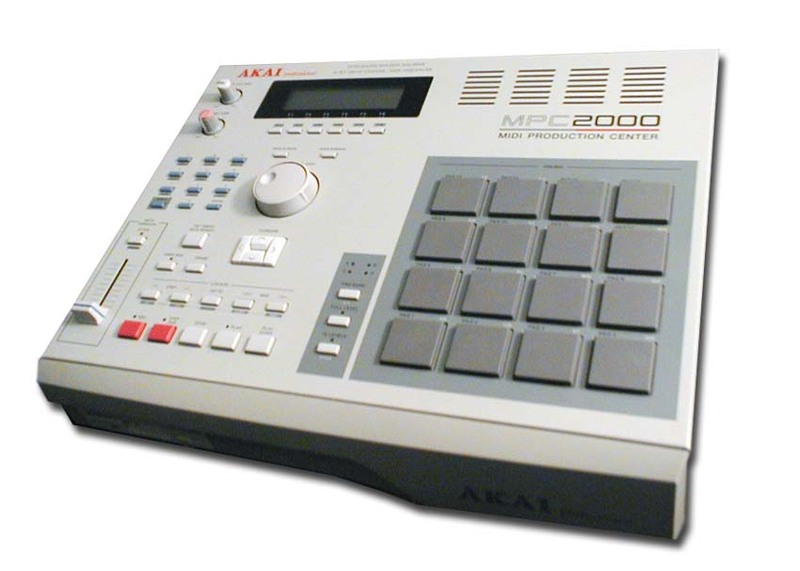 Together they created the Akai MPC-60 after Linn Electronics closed due to low sales of their Linn 9000 drum machine. The MPC (MIDI Production Center) was an easier way to navigate your samples to create compositions from sampled records or instruments. 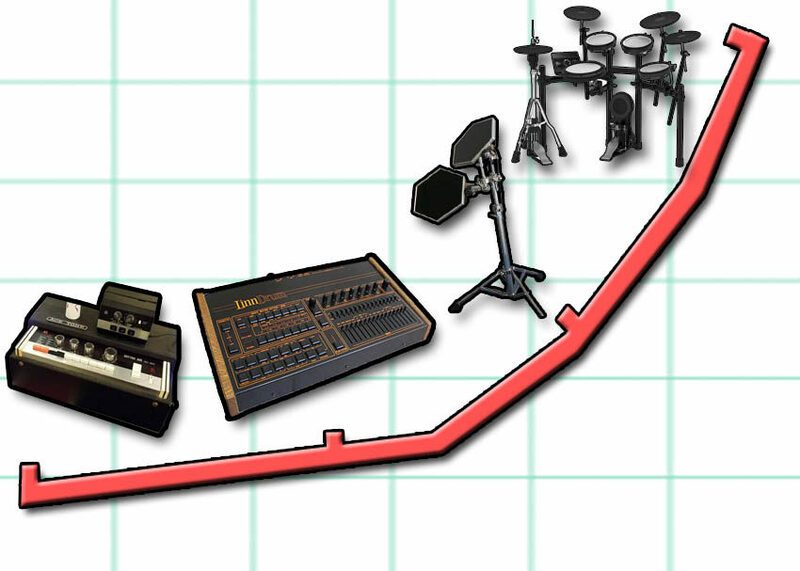 It simplified the music production game with a price point thousands below other “groovebox” style machines. Though the MPC line requires sampled instruments or sounds to do its work, it started a movement towards unique percussion sound design and opened the door for generations of producers and beat makers. An Akai MPC 2000 MIDI Production Center. Image used with permission by Wikimedia Commons. 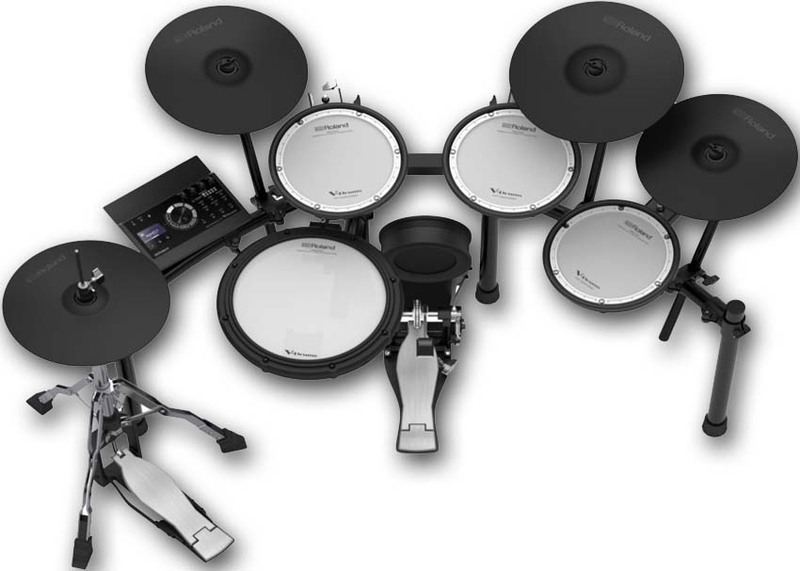 In 1997, the Roland Corporation unveiled the TD-10 V-Drums kit. This kit changed a ton of the expectations for consumer electronic drums. For one, it didn’t use a sampled acoustic drum or cymbal sound when triggered. The module relied on mathematical models to generate the sound using Roland-designed synthesizers. And second, the TD-10 didn’t use traditional rubber pads, it used mesh pads produced in collaboration with Remo (makers of acoustic drum heads.) This combo of both realistic sound and feel set up a bright future for the modern electronic drum. 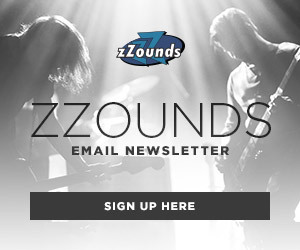 Following the creation and launch of the TD-10, Roland designed and created dual-zone drum pads for cymbals. The CY-14C and CY-15R V-Cymbals made for a more “live-feel” to electronic cymbals, where you could hit different zones on the pads to produce separate sounds, more like a real acoustic cymbal. A Roland TD-17KVXS released in 2018. 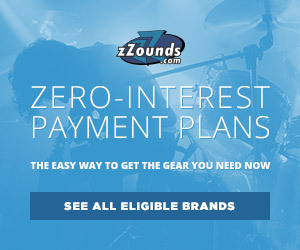 Since then, there has been a ton of advancement and innovation in the electronic drumming world, from ultra-portable multipads like the Roland SPD-SX or Alesis Strike MultiPad to drum machines and grooveboxes like the Elektron Digitakt, Akai MPC X or Roland TR-8S that pull from electronic drum roots but act more like computers than instruments. The electronic drumming world isn’t done yet and with the vast array of music in demand, it won’t be ending anytime soon. mighty nice.Left me wanting a VDrum pro.